The Bigg Boss reality show in a popular Tamil TV Channel has been the talk of the town due to the exciting content as well as few controversies. The latest is that Oviya who is seen targeted by the other contestants has continued to win the hearts of millions of people who follow the show closely, including popular movie stars. 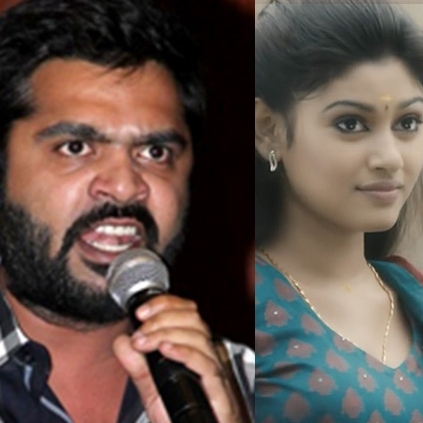 After getting support from Venkat Prabhu, VJ Anjana, Archana Kalpathi, Chinmayi and Sathish, this time it is STR who took to his micro blogging account to express his support. He tweeted, "If someone is different and not like the rest; it's better to leave them alone than blaming and cornering. #Disheartened #Oviya #SpreadLove". The social media is abuzz with support to Oviya through memes and videos. However, we will have to wait until tomorrow to know the next contestant who is going to be eliminated from the show. Massive treat for Vijay fans on July 31st! What is Allu Arjun doing at the sets of Golmaal Returns? Sivakarthikeyan and RJ Balaji to join tomorrow! CBFC Chief Pahlaj Nihalani to be fired? SUPER FUN! Soori Tries To Ramp-Walk Like A Model | Don't Miss! People looking for online information on Big Boss Tamil, Oviya, Str will find this news story useful.